Today at the World Economic Forum’s annual summit in Davos, Switzerland, a coalition of 30 leaders launched Champions 12.3, an effort to create political, business and social momentum to reduce food loss and waste around the world. Champions 12.3 is a voluntary coalition of executives from governments, businesses, international organizations, research institutions, farmer groups and civil society (Box 1) dedicated to inspiring ambition, mobilizing action and accelerating progress toward achieving Sustainable Development Goal (SDG) Target 12.3. The target aims to halve per capita global food waste at the retail and consumer levels, as well as reduce food losses along production and supply chains by 2030. The formation of Champions 12.3 comes at a historic time. Just four months ago during the United Nations General Assembly, the countries of the world formally adopted a set of 17 SDGs as a follow up to the Millennium Development Goals. The SDGs are global goals to end poverty, protect the planet and ensure prosperity for all. The 12th SDG focuses on ensuring sustainable consumption and production patterns. The third target under this goal, Target 12.3, calls for reducing food loss and waste in order to increase food security, reduce greenhouse gas emissions and help alleviate poverty. This ambitious yet achievable target has the potential to embed the reduction of food loss and waste firmly in public and private sector strategies around the world. 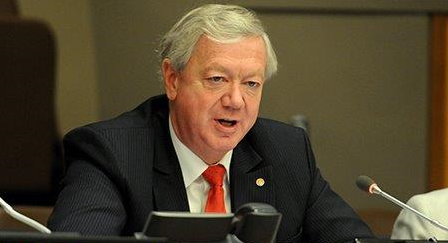 Reducing food loss and waste is a challenge of historic proportion. An astounding share of food is currently lost or wasted between the farm and the fork – 32 percent of all food by weight and 24 percent of all food calories. This level of inefficiency has huge economic, social and environmental impacts. Food loss and waste causes $940 billion in economic losses annually. It exacerbates food insecurity and malnutrition. And food that is ultimately lost or wasted consumes about a quarter of all water used by agriculture, is responsible for an estimated 8 percent of global greenhouse gas emissions, and requires an area of cropland the size of China. 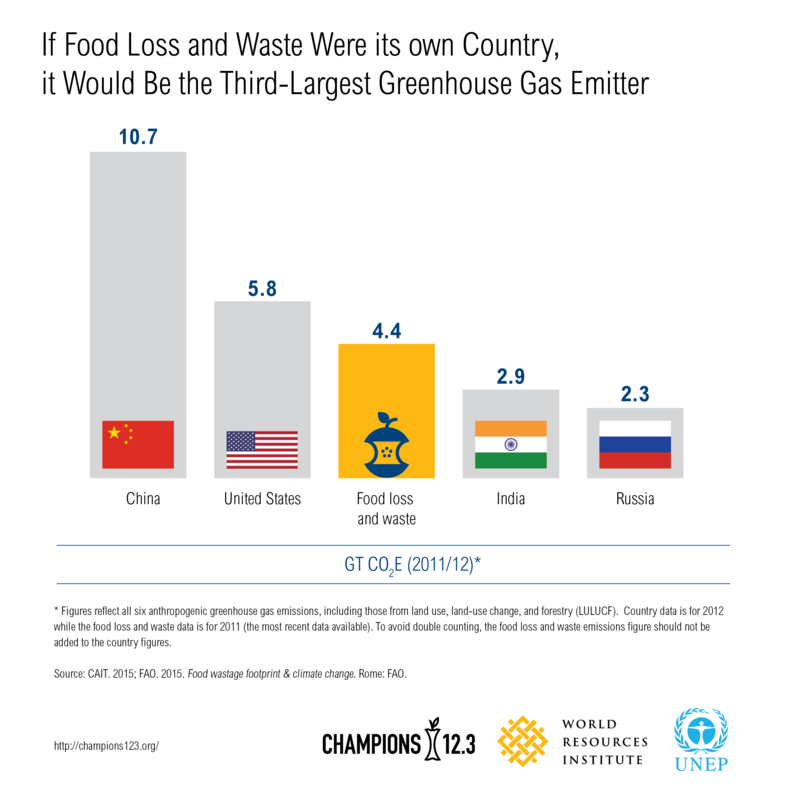 In fact, if food loss and waste were a country, it would be the third-largest emitter of greenhouse gases, after China and the United States. Who Has Joined Champions 12.3? Reducing food loss and waste, therefore, can deliver a triple win: Saving money for farmers, companies, and households; wasting less to feed more people; and alleviating pressure on climate, water, and land resources. Champions 12.3 leverages a timely opportunity to mobilize public and private sector capacities to convert Target 12.3 into a reality. One thing the world learned from the Millennium Development Goals that preceded the SDGs is the necessity for a consistent drumbeat of support from top leaders for global targets to be met. This experience underpins the formation of Champions 12.3. 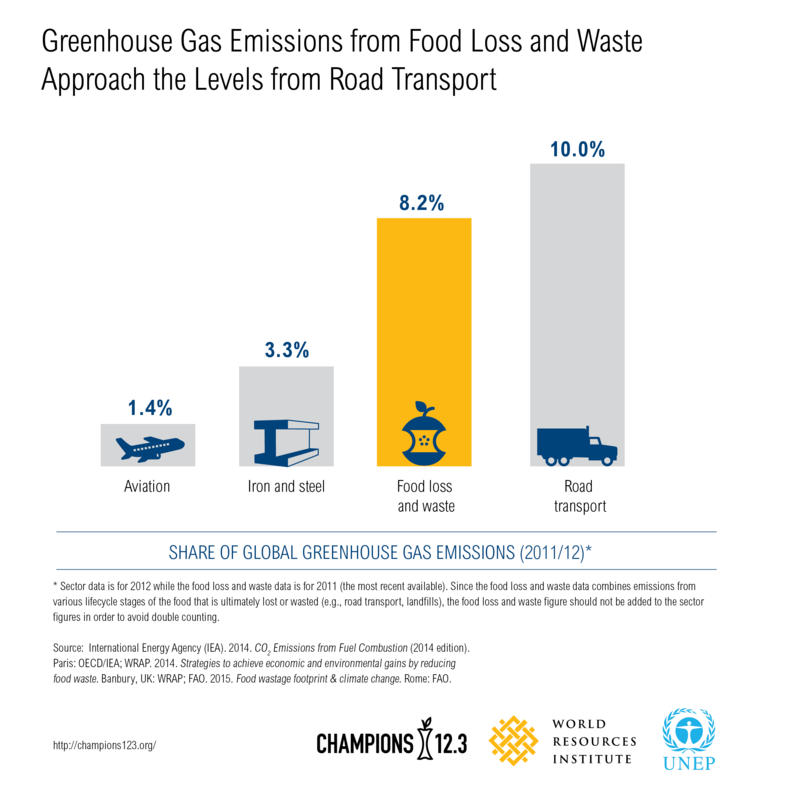 Champions 12.3 will complement ongoing UN efforts such as SAVE FOOD and Think.Eat.Save, as well as other initiatives such as EU FUSIONS, the global Food Loss & Waste Protocol, private sector action and more. By lending their voice to new and existing food loss and waste reduction efforts, the Champions have the potential to accelerate progress on an SDG target we all can rally around.